Vintage - JC Pennys China Tea Cup & Saucer Set, in the "Marianna" Pattern, Made in the 1960's. 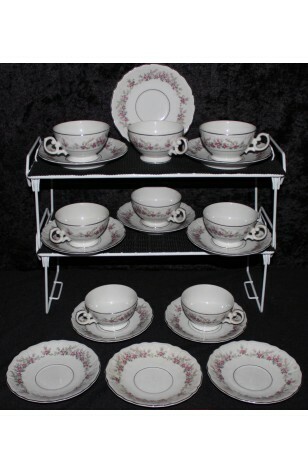 Priced per Cup & Saucer Set. Buy one set or select "Quantity" for Additional Sets... Purchase the remaining balance of Cup & Saucer Sets, and receive at no charge, any remaining additional Saucers. Postage weight is per Set.